Going to bridal shops was such a disappointment; there was so much about the experience that just didn't personally work for me. I finally decided to have my own dress custom-made and was happy with the results. But in the process I decided that there was a need for something alternative, something vintage, something stunning- as well as green & fair labor. 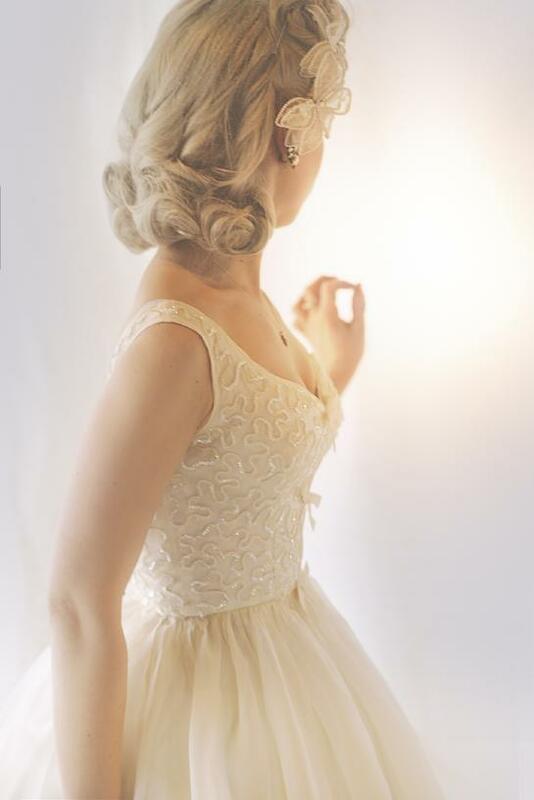 I began collecting vintage dresses and committed to opening a boutique that would offer brides the largest collection of vintage wedding gowns anywhere, couture redesign, and custom fit. Our mission is to provide a relaxed, concierge shopping experience for our customers. We show gowns by appointment only so that we can devote time to our brides without pressure or distractions. I think you will love your experience at Andrea's. Ask our brides, who rave about us on Yelp, Google, and WeddingWire. Be prepared for a jaw-dropping selection and pampered service!